The Philippine Senate has approved a P100 million repatriation fund under the Department of Labor and Employment intended to help distressed OFWs come home to their families if they do not have the means to do so. Senate Minority Leader Ralph Recto said that the senate has adopted his proposal for the creation of the repatriation fund, a part of a bigger P1.5 Billion budget he is pushing for to help address OFW concerns in general. The administration has originally set aside P50 Million budget for DoLE to help in the repatriation of distressed OFWs. 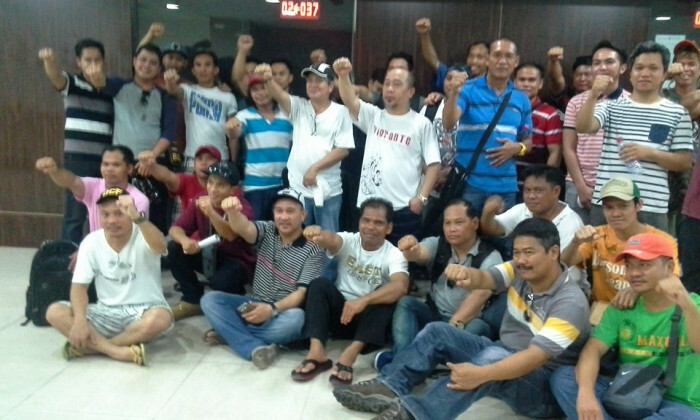 Hundreds of OFWs who lost their jobs in Saudi Arabia were stranded until the government facilitated their return home. P580 Million is allocated for OFWs under the 2017 budget. This includes the P50M repatriation fund, P400M Department of Foreign Affairs (DFA) assistance to nationals fund, P31M Overseas Welfare Administration fund, and P100M DFA legal assistance fund. Recto stressed the contributions of OFWs for the economy against the budget allocated for them. P500 Million is the same amount of remittance sent by OFWs in Hong Kong in four days and five hours. The same amount is also sent by OFWs in Italy in 12 days. OFWs in Saudi Arabia can send it as remittance in just 34 hours. OFWs sent about P1.3 Trillion in remittances last year, about 10% of the country’s gross domestic product.